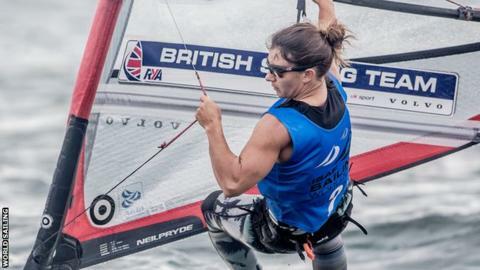 Windsurfers Bryony Shaw and Nick Dempsey claimed gold and silver medals for Britain on the last day of the World Cup regatta in Miami. Shaw came into her RS:X medal race with a comfortable lead over Dutch rival Lilian De Geus and was assured of at least silver. And although she made a slow start, she finished in third, which was enough to give her overall success. In the men's race, Dempsey was second to move up one place from third. But there was disappointment for John Pink and Nick Bithell in the 49er Men's event. The pair were in third going into the final day but they struggled with the changing winds and dropped out of contention into fourth. Paralympic champion Helena Lucas had won gold for GB in the 2.4mR keelboat event on Friday.